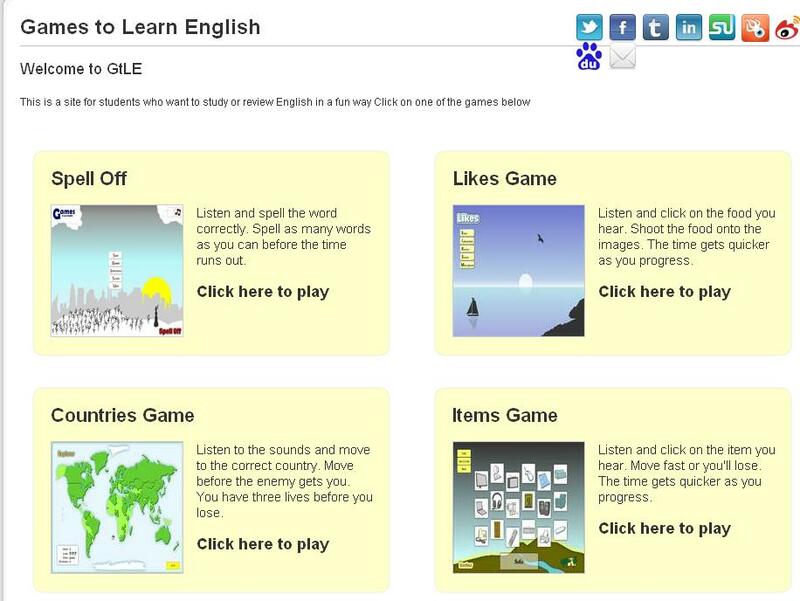 This site has a collection of fun, challenging games for students who already know the vocabulary. Topics include animals, countries, numbers and prepositions among others. If there are some words you still don't know, click "Review" for a brief vocab lesson. Enjoy!